Thunder River Theatre Company’s annual fundraising bash is known for fantastic entertainment and fun surprises! 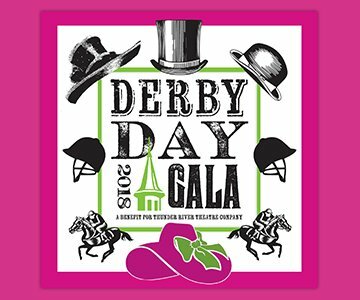 Join TRTC on Kentucky Derby Day, Saturday, May 5, 2018, for a dashing night of food, fun and frolic to raise funds to support the theatre. Enjoy cocktails and a silent auction, delectable dining by Bravo Fine Catering, a paddle raise for programming, and live performances by members of TRTC’s fabulous Diva Cabaret.